Hey! Do you have a fab site? 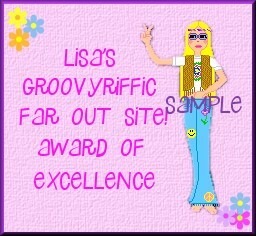 If your site is really groovy why not apply for one of my awards? 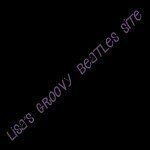 Your site does not have to be only Beatles related. 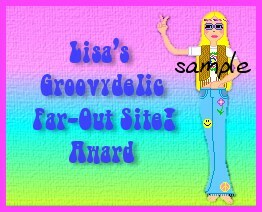 Almost any site can win one of my awards. Here's all you've got to do! 1. 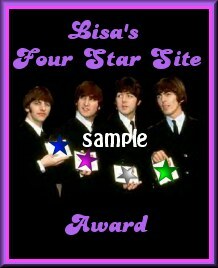 Fill out the form below and tell me what award you are applying for. 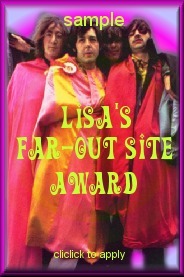 I don't dish out awards to just any site that applies so if you win I really, really do think your site is FAB! FAR OUT! GROOVY!!! How about signing my guestbook? When I visit your site In will sign your book too. It's free and takes a few seconds and will keep good karma coming your way :-) but it's not a reguirement. After that I will come and visit your site and check it out and look around and be amazed by the wonderful job you did! Then I will send your award to you. Please give me a few weeks to send your award to you. So that's all you've got to do so go on and apply. Apply For My Award Here. An e-mail will be sent directly to me! What Award Would You Like?